Chinese furniture designs have evolved over the years. The styles and features of the furniture is adapted from the Qing dynasty. It is categorised into four: the Beijing category, the Guangzhou category, the Shanghai category and the Suzhou category. Furniture from the Beijing category have a simple design and their development is based on the furniture from the Ming dynasty. 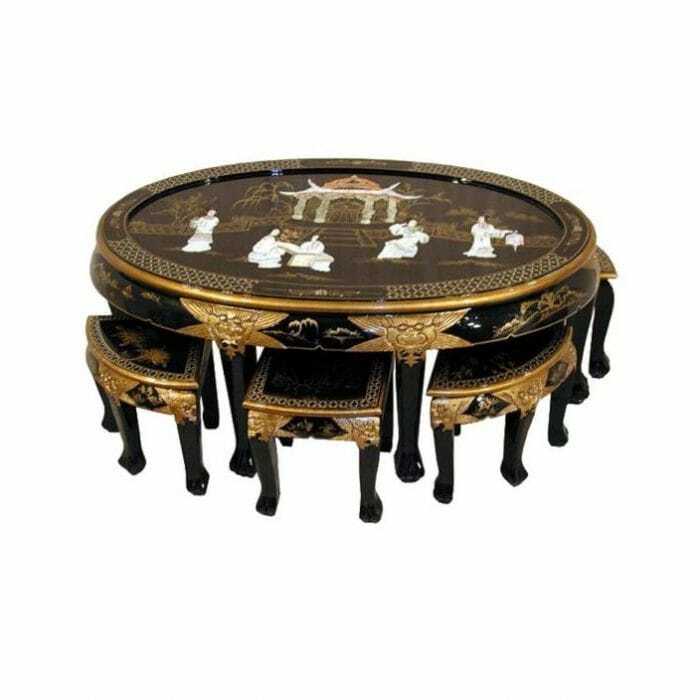 The Guangzhou category furniture features include the integration of marbles and shellfish shells and were made in the 19th century. They as well integrated western influence. The Shanghai category had decorative sculptures on their design. The Suzhou category were more complex in design which differs from the Beijing category. With centuries of ornate design and craft inspiring comes this stunning Chinese Chest, the stories and history enriched within the piece will be sure to uplift the ambiance and class of any room. This Chest is eye catching yet subtle, ready to easily fit alongside existing decor or as part of a new set such as our antique French furniture. This marvelous Chest is an engaging and enchanting hand crafted piece you won’t regret. 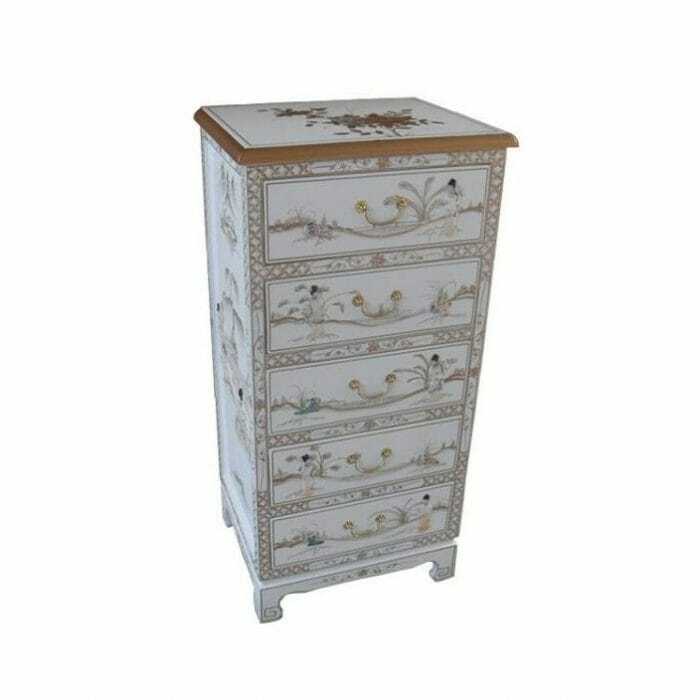 With centuries of ornate design and craft inspiring comes this stunning Chinese Chest of Drawers, the stories and history enriched within the piece will be sure to uplift the ambience and class of any room. This Chest is eye catching yet subtle, ready to easily fit alongside existing decor or as part of a new set. 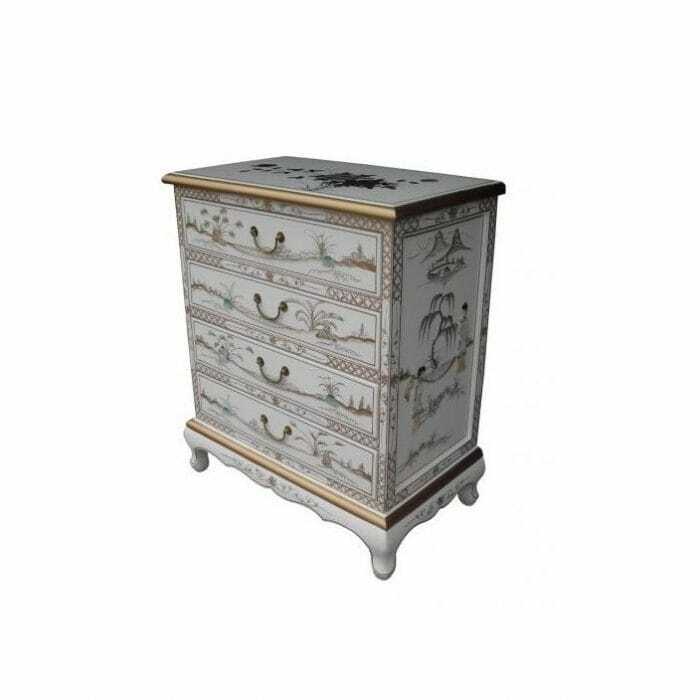 This Mother of Pearl Chest is an engaging and enchanting hand crafted piece you won’t regret. The Qing furniture date back to the beginning of the Qing Dynasty while the Ming furniture date back from the end of the Ming Dynasty. Qing furniture was known for its engraved decorations. Painting was also incorporated into the design as decoration. Engravings made were of geometric shapes and nature scenes. The Ming furniture used durable hardwoods like the red sandalwood which release a beautiful scent. The type of hardwood used in making Chinese furniture was generally known as Rosewood, or as most people call it, red wood. This wood is characterised by higher density to water due to the oils and resins in the wood. These features make it rot resistant, insect resistant, hard to wear out and when new, they have a lovely sweet scent. When making furniture with this type of wood, nails and glue are not necessary because the joinery and dowelling technique creates stronger furniture joints. 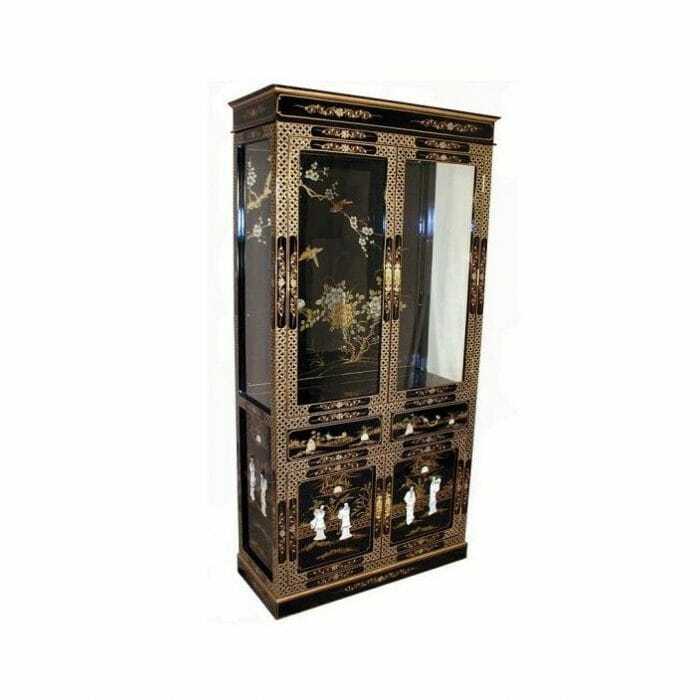 With centuries of ornate design and craft inspiring this stunning Mother of Pearl Cabinet with Lighting, the stories and history enriched within the piece will be sure to uplift the ambience and class of any room. The Mother of Pearl Cabinet with Lighting is eye catching yet subtle, ready to easily fit alongside existing decor or as part of a new set. The Mother of Pearl Cabinet with Lighting is an engaging and enchanting hand crafted piece you won’t regret. There are eight classes of wood standards according to the Chinese industry: the Huali wood, the Zitan wood, the Jichi wood, the Xiangzhi wood, the Tiaowen wu wood, the Yinchen wood, the Hong Suanzhi wood and the Hei Suanzhi wood. Most of the species that fall into these classes are however endangered due to over logging. The most common was the Zlatan wood and was mainly reserved for prominent people and rulers. It had a dark purple colour similar to the Qing dynasty colour and was very rare. As stated earlier, Chinese furniture does not need glue or nails. Designers, however, join the wood pieces using a sophisticated joint network. The reason for this is these oily woods do not join well with glue or nails due to the climatic conditions of most of central and Eastern Asia. Early design shapes were of a box-like form. This design was constantly improved over time. Most of the designs considered as Chinese designs were first noticed during the Tang dynasty. It is from this point that other Chinese furniture type usage was common with most of the Chinese. These types include the cabinet, bookshelves, stools, desks, beds, chairs, trunks, screens and tables. Hanging of clothes was a trait not recognised by the Chinese and as such, they would fold their clothes and put them in trunks and cabinets. Currently, most Chinese furniture designers use old furniture design techniques with new ones. Similarly, they implement western design styles into their traditional designs creating beautiful contemporary Chinese furniture. Come over to to our Homes Direct 365 Chinese Furniture Range and check out our full selection and make a Chinese room in your home. Once again Homes Direct 365 Limited turn out the best deals and most elegant styles of furniture around.